Unlike Windows 7, which felt more like a step up from Vista, Windows 8 feels more like a giant leap forward. The only word to describe this feat would be: Gamechanger. In a lot ways, Windows 8 makes incredible strides that blur the lines between a tablet/phone interface and a desktop/laptop interface. While that may comes as welcome surprise to the “Swipe Heavy” generation, many traditionalists may be off-put by the drastic changes to their once bellowed Windows. This review will primarily focus on the good changes being offered by Microsoft’s newest installment. 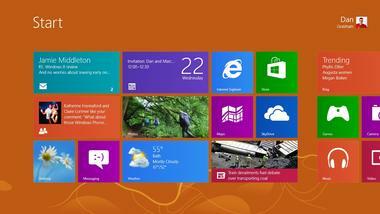 The first thing you will notice about Windows 8 is the implementation of a tiled, tablet-like interface. It places apps, programs, documents (or whatever you chose) in a series of stylish blocks that just scream “the future”. The regular desktop is there, just tucked away. However, the Windows standard “Start Button” is now a thing of the past. Instead of snapping windows onto half the screen, the screen can now be split into thirds. Now supports integration with Windows apps and provides information such as: battery info, messages, emails, and other customizable notifications. Those of you using Sky Drive will find it easier than ever to be connected to your precious data that will sync alongside all of your other Windows 8 computers. By signing into a Microsoft account, all of your search history, preferences, settings and passwords will be right at your finger tips. When you are on the start screen, simply type in what you are looking for and watch as the magic unfolds right in front of you. Not to be outdone by the Android Market and iTunes store, the Microsoft App Store now offers dedicated apps. Unlike previous versions of Windows, you can now pause copy/cut and paste tasks in the middle of the transfer and resume that back when it is more convenient for you. Much improved over previous versions of Windows. While some people may turned away from Windows 8, it is certainly a step in the right direction. Windows 7 was and still is a very fine operating system, however, to many people it’s just Vista 2.0. Windows 8 aims to move a lot further away from a similar fate by completely revamping the way in which we approach an operating system. The performance gains alone would more than warrant an upgrade, especially at some of the prices that are being offered. 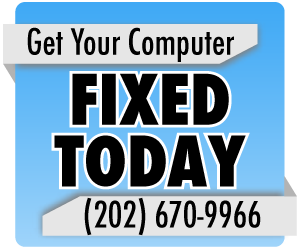 It is important to note that the installation of Windows 8 may not prove to be an easy task for some users and as a result, contact a computer repair technician. Is a Wireless AC Router Worth it Right Now?